The Objection: Head covering is legalistic and a return to the Law. We are saved by faith in Christ, not by what we do. Since it doesn’t affect our salvation, we don’t have to practice it. They believe their law-keeping makes (or keeps) them in a right-standing with God. They make laws out of issues that a Christian has liberty to decide for themselves. 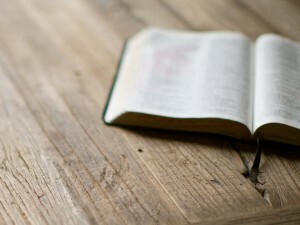 For the first definition, it’s possible to be legalistic about any teaching in Scripture. Head covering should not be singled out, as no command is immune from this error. Anyone can think that one’s obedience earns justifying favor with God, no matter the issue. But let us be clear, this is a heretical view. No amount of good works or law-keeping can make us (or keep us) right with God. Our salvation is a free gift, based upon the perfect life and death of Jesus in our place. Faith in Christ is what saves us, not obedience to Christ. We obey God out of love for Him (John 14:15), not to be loved by Him. Therefore, one can practice head covering without being legalistic in this sense. Head covering is teaching that was “held firmly” by the church because it was delivered with apostolic authority (1 Cor 11:2). Liberty issues are left to the Christian, not delivered to the churches for them to hold to. Paul tells anyone who would disagree with head covering that the churches have only one view and that’s their practice of it (1 Cor 11:16). Liberty issues are marked by multiple views, not an exclusive position. 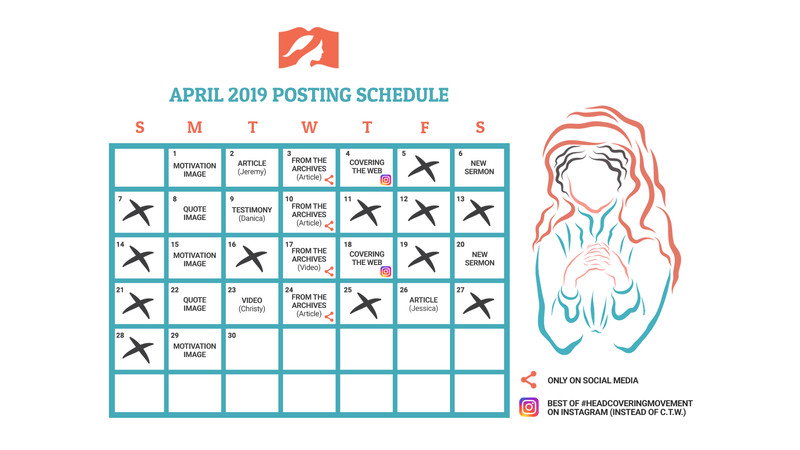 The sentence structure commands an action: “But since it is disgraceful for a wife to cut off her hair or shave her head, let her cover her head.” (1 Cor 11:6 ESV). Liberty issues are marked by the absence of a direct action-command. Paul says to not practice head covering is dishonorable, disgraceful and comparable to a woman having a shaved head (1 Cor 11:4-6). Liberty issues are marked by a plurality of choices which can bring glory to God (Rom 14:6) while Paul’s choice of language suggests that in this instance only one choice can. Paul defends head covering by appealing to the creation order, nature and angels. Liberty issues are marked by their silence in the Scriptures, not by a defense. Since it’s not a symbol that one can choose if they want to obey, I don’t believe that this definition of legalism can apply. It would be like saying, “it’s legalistic for you to tell that new Christian she must be baptized”. That would be a misapplied charge since Baptism is a command, not a practice you decide if you want to partake of or not. When one is exhorted to adhere to a Scriptural command, that is not legalism, it is biblical Christianity. Though head covering does not affect one’s salvation, we care about everything God says, not just the big things. Jesus said, “if you love Me, you will keep My commandments” (John 14:15) and since “all Scripture is inspired by God” (2 Tim 3:16), we cannot dismiss this teaching on head covering. So while it is possible to practice this symbol legalistically, the source of legalism would be in the heart of the one who practices it, not in the symbol itself. Should Christian Women Wear the Hijab? I have seen a marked decline in the head coverin in some assemblies and it seems to be a recent trend in all the churches (denominations). I believe years ago the women did wear a head covering in most churches. I wonder if the putting off of this symbol is any way linked to the feminine movement today. I would also like to know why it is so resisted by the women. I believe it is very important as it not only rightly displays the divine order and while having nothing to do with our glory does glorify God by showing my (the sisters) obedience and also is observed by the angels. Feminism is about women putting themselves at the head, before man and before God. To wear any symbol that implies otherwise would be heresy to the religion of feminism. Feminists (and modern godless people in general) believe that they are the ultimate authority in their own lives. They don’t believe absolute truth exists, only a relative truth that changes to accommodate their desires. And they certainly don’t believe that they will ever face any kind of consequence or punishment for their erroneous beliefs. You know, those of us who advocate a fabric headcovering have read that verse before. If you want to persuade us that long hair is the only covering required, you need to do a but more work than just quote the verse in your favorite translation. Are you saying it is not a covering? What other verse would you have me look at? If a woman wants to use a piece of cloth, fine. If a woman has long hair(and I think the verse means a woman’s style hair) fine. Darby’s not my favorite, just the one I used. Here are a couple more, they all say the same thing! And isn’t long hair a woman’s pride and joy? For it has been given to her as a covering. but if a woman has long hair, it is her glory? For her hair is given to her for a covering. nor that hair is a woman’s glory, since hair is given as a substitute for coverings. And whenever a woman grows her hair, it is a glory to her, because her hair is given to her in place of a covering. Doesn’t it teach you that it is a woman’s pride to wear her hair long? Her hair is given to her in place of a covering. But if a woman lets her hair grow, it is a glory to her; for her hair is given her for a covering. But if a woman has long hair, it is a glory to her: for her hair is given her for a covering. But if a woman nourish her hair, it is a glory to her; for her hair is given to her for a covering. But if a woman hath long hair, it is a glory to her: for her hair is given her for a covering. but that if a woman has long hair it is her glory, because her hair was given her for a covering? But if a woman has long hair, it is a glory to her, for her hair is given to her for a covering. Presumably you have thought about how advocates of fabric headcovering understand that verse? If you are unaware of how they interpret it, you can find material addressing it on this website. I’d recommend having a read through. Yes, I’m familiar with the head covering position, but I was looking for some comment of the myriad of translations I put forth. Dale, a woman’s long hair is her covering. That’s not being disputed. The question is, is that the covering mentioned in the rest of this passage? To that we argue, no. When a woman is “praying and prophesying” she is to wear an additional covering. While we don’t mind discussion on this topic, you’ve copied and pasted the same objection over numerous articles. We’d appreciate it if you’d keep the discussion relevant to the content of the article. Thanks. So I find 21 translation copy and paste and you say don’t copy and paste. Sometimes facts must be repeated. So as not to copy and paste, checkout my reply to the video you copied and pasted in your reply. Darby supported a cloth covering I believe. I’ve covered for 15 years, still studying it, and still questioning my understanding of the text. How much have I been in influenced by the teaching I’ve been under? Very much I presume. Translation isn’t a big issue, they all read pretty close. But the notes we read, and the religious peers we have make a large impression, consciously or not. Yes, that is true. Darby did believe in the ongoing practice of headcovering (material, not just hair). Dale, as I understand you, your premise is that I Corinthians 11:15 teaches that when a woman wears her hair long, she has fulfilled the Scriptural command for her to wear a visible “head covering” as a testimony of her submission to God’s order, right? I have many friends that DO believe that this passage teaches a God-ordained headship order and Godly submission, and that the Scriptural application of a covering or headship veiling does indeed transcend time and culture, but they also believe that the woman’s long hair itself is that head covering. The question that comes up at this point is whether or not this view (of long hair being the woman’s Biblical headship covering) is consistent with the rest of Paul’s teachings and reference on this particular practice. If you would bear with me briefly here, take a look at the rest of Paul’s teaching here with me for a moment. When we read through I Corinthians 11:1-16 as a whole, a woman’s long hair is clearly presented as a covering, and there is no reason to disagree with this – it is clearly supported from the text! But here is where the question enters in: if verse 15 was the only verse which referred to head coverings, we could conclude with reasonable certainty that a woman’s long hair is, without question, the only covering which Paul was teaching for Christian women to wear. The problem is, and stay with me here, it isn’t the only verse getting specific about headcoverings. Check this out. As I have worked through the various resources available on this particular passage of Scripture, I have personally found an undeniable pattern in many of the 20th and 21st century commentaries, sermons, and study Bibles that I have gotten my hands on; most of them deliberately isolate and stand on Corinthians 11:15 in discussions of what constitutes the head covering(s) which Paul had in view. For whatever reason, there is little consideration for the immediate surrounding context within the particular passage of Scripture, except for occasional consideration of the underlying principles of headship and submission, and even then more often than not between God and individual believers, rather than between God, Christ, men, and women. If you apply the same logic to verse 6 which people have used in the “long hair only” objection and interpretation of verse 15, this verse would literally say: “if a woman doesn’t have her head covered with hair then she should cut her hair off.” How in the world do you cut off something which you don’t have? And that begs the obvious question, how can v6 & v15 be reconciled, since they must somehow agree if God does not contradict Himself, nor allow His inspired messengers to do? Verse 6 gives explicit instruction when it says that “if a woman won’t do this, then she should do that”; by contrast, verse 15 is part of an analogy, and Paul uses the analogy of the natural world in verses 14-15 to illustrate spiritual truth. “Doth not nature itself teach you?” What is Paul suggesting that nature can teach us? Nature itself can teach us that there is a difference between men and women in this area: long hair for men is generally considered distasteful, or at the very least countercultural, whereas it is considered beautiful or attractive for women, even in our society today. Sound interpretation will always require that more weight be given to the instructive parts of a text than to its analogical parts. In light of this, is there a way for God’s people to understand and to apply the teaching of verse 15 in a way which will not negate or contradict what was said in the rest of the passage, and especially in verses 5-6? Since verses 14-15 are an analogy, Paul is comparing the natural covering (of long hair for women and short hair for men) to the symbolic cloth covering/veiling of the headship order. Sure, Paul DID teach women to wear long hair both as a covering and as their feminine glory, but he also teaches them to wear another separate, artificial covering (which will conceal that glory) as a visible symbol to show submission to God’s order, and their willingness to direct attention to His will instead of themselves. It is taken for granted in verses 5-6, as well as verses 14-15, that cropped or shaved hair for women, and long hair for men, would be disgraceful. As such, the implication was that a woman’s head should be covered with long hair, and that if there really was something especially suitable about her head being covered naturally, then she ought be glad to wear a symbolic, or artificial, covering in addition to her naturally long hair, as a visible spiritual testimony to her submission to God’s order. In light of this, notice how Paul goes on to suggest that if a woman actually refused to wear the artificial covering of a cloth headship veiling, then she might as well go ahead and additionally shear off her natural covering of long hair! What point is there in attempting to cover hair if there is little or nothing to cover? These verses don’t logically or honestly make sense when viewed in any other way. If, after this brief look at the broader context around I Corinthians 11:15, you still feel that a woman’s long hair is the only covering implied in this chapter, I encourage you to temporarily replace the words which have been translated as “covering” or “covered” in verses 4-7 and verse 13 with the idea of “long hair” or “long haired”, and consider how much sense it makes then. I believe that a willingness to be honest with the actual text of Scripture as we interpret and apply it will make it clear how that a woman’s long hair CANNOT be the only covering being taught here! Would be glad to hear your thoughts in return. The Greek here for Covering is κατακαλύπτω. The Greek here is περιβόλαιον. Not even the same word. There is a completely different contextual meaning through it’s deliberate use. It means “that which comes down and wraps around” or “something thrown around” (Strong’s). The word is refering to the hair itself and that the hair should be long as described in the previous verses. Paul is simply stating that it is good for a woman to have long hair because it is a glory for her. Also if the hair was a covering then Paul is speaking jibberish because how do we then account for the act of covering and uncovering throughout all the verses? Paul gives a large tautology in the previous verses for all the reasons to κατακαλύπτω. KJV: is given her for a covering. That would mean a woman would have to wear two coverings. I don’t see that in the text. So as not to repeat myself, please read all my comments. Dale, I’ve read your comments. Regarding the concept of two coverings, please see mine below. Not quite, how long is long? If we go by the usual drawing of our Lord, the depiction is long hair and a beard. These drawings could be right. Other drawings show men with long hair compared to what most men wear today. What did Paul mean then? As I have stated before(sorry to repeat) that Greek word is Koma. When we make that word style,Strong’s concordance says (the notion of length being only secondary and suggested),the verse makes sense. Apparently from the same as komizo; the hair of the head (locks, as ornamental, and thus differing from thrix; which properly denotes merely the scalp) — hair. Any other reply to you would be contingent on your thoughts of this word. Looking forward to your reply and having a friendly discussion. The renassaince portrayals of the long haired Jesus do abound, don’t they? 🙂 But you have no thoughts to share on the rest of the context of I Cor 11 and the possibility of two coverings? To me the crux lies in whether Paul meant long hair or women’s style of hair. All my thoughts would be tempered by on everyone’s opinion on this point. Dale, while that might help clarify what Paul was referring to when he spoke of the hair as a covering, it strikes me as completely irrelevant as to whether the hair is the ONLY covering Paul was calling for. If it can be established from the Scriptural text that Paul was only referring to a covering of hair, then certainly your posited crux becomes the point of discussion. With respect to your interpretation and what you have been taught, I think we might have a full discussion on the subject, but I have been in enough blog discussion that begin with conditional requirements such as “any other reply would be contingent on” addressing one person’s particular point before they are willing to consider further context. Not meaning that demeaningly in the least; just offering a word of caution, as it tends to set the conversation up for confrontation and defensiveness from the get go. 🙁 You DO realize this is a site dedicated to fully considering the Scriptures, context, and historical facts in connection with the subject of the headship veiling rather than simply providing a forum for attempts to disprove or denounce part of it, right? So you favor a translation of “instead of” when the Apostolic Fathers, who spoke Greek as their first language understood it as “for”? I think you mean the Apostolic Father understood it as”ἀντὶ”,they didn’t have to translate it! By the way…why would you want to attack me (“quote the verse in your favorite translation”) I though we could just have a discussion!?!? Headcovering can definitely become legalistic if churches force the issue. I believe in the teaching of headcovering as stated in I Cor. 11, and that it is to be more than a woman’s hair. Whether your covering is a hat or a veil or a bandanna is completely up to the woman. Some women believe that all of their hair needs to be completely covered. Some believe that a smaller covering satisfies the teaching in I Cor. 11. Some women believe that it is only necessary to cover within the realm of the Lord’s Supper because that is taught later in the chapter. Some believe that they should cover all the time because prayer can be lifted up at any time, not just in church. What is the Holy Spirit leading you to do? It’s not legalism if you are following the teaching in the Bible with all your heart, soul and mind. For the covering woman it’s definitely legalism if you wear your covering in a grudging manner (I’m only going to do this because I have to, not because I want to). Because God know our thoughts and the intents of our heart, He won’t get the glory when we have a bad attitude. The ultimate goal for all of us is to give God glory. So, who gets the glory then, if an uncovered woman is sitting in the meeting with her long beautiful hair flowing or even a short haired woman with a lovely haircut? If we’re honest with ourselves, our eyes are immediately drawn to their hair. Regardless of the length, when a woman’s hair is covered, her glory is covered. She is lovingly submitting to the Lord with the simple act of covering. Jesus, himself, lovingly submitted to the Father’s will as He died on the cross for us. If Jesus can willingly give His life for my salvation, it is a small thing for me to obey this portion of Scripture as a woman. I was blessed to have been taught at an early age that I was obeying Jesus in wearing a headcovering at our assembly. There were also Godly women who led by example. Through the years, I had my up’s and down’s regarding this teaching. As I matured as a Christian, I studied it out on my own, and claimed the truths of headcovering as my own, not just because the church I was attending taught it. There are spiritual battles being waged on an earthly level and also on a spiritual level. With the angels watching us, my choice is to please God. Unfortunately, in this day and age, good, solid Bible teaching on women covering their heads in our churches is nearly obsolete. It is taught as being ‘optional’. The ‘do whatever you want’ mentality of the world is invading our churches, homes, and schools. That’s why I am very thankful for this website and for the clear, concise teaching that Mr. Gardiner gives in an informative manner. He does not come across as combative, but he will stand up and defend his position with Scripture. 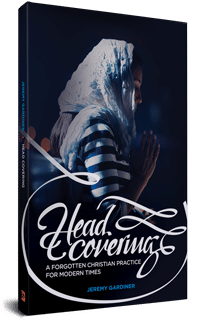 It is my prayer that many men and women will thoughtfully read his information and then humbly ask the Holy Spirit for a deeper understanding of the headcovering taught in I Cor. 11. Just what exactly would that look like? 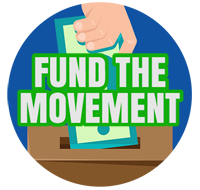 What would you mean by “force the issue”? To put it another way, what exactly would a church need to do if they actually wanted to “force the issue”? Hi, David! Warm greetings in the name of Jesus Christ. Thank you for asking me. Well, to me, “to force the headcovering issue” is to make a definite law in the church that whoever does not want to cover does not have a right to take part in the communion service or something like that. Thank you so much for your reply and your kind words. God bless you. Just what exactly would that look like? What do you mean by “force the issue”? To put it another way, what exactly would a church need to do if they actually wanted to “force the issue”? Is it safe to say that something becomes “legalistic” if the practice of it becomes a test of fellowship? I wouldn’t say it like that. For example, holding to an orthodox view of the Trinity should be a test of fellowship and that is not legalistic. I also believe affirming the sinfulness of homosexuality should be a test of fellowship. Same goes with living a repentant life (meaning you can’t have brotherly fellowship with someone living in ongoing sin who will not repent). Do I think it’s wrong to make headcovering a test of fellowship (meaning, you without fellowship from them)? Yes I do. I don’t think legalism is the right category though (since headcovering is a command). Rather, I think it’s elevating minor issues to a higher importance than what is deserved. So it’s “majoring in the minors” for sure and a lack of discernment in separating essentials from non-essentials. I do think if a person does this, it might be a clue that they are legalistic in other areas though. Hmmm. OK. So you wrote this: “So it’s ‘majoring in the minors’ for sure and a lack of discernment in separating essentials from non-essentials. So are you saying that a fabric head covering is a “non-essential”? Sorry, but I’m afraid you walked right into that one. I agree with you, by the way that an orthodox view of the Trinity is, in fact, an “essential”, as is affirming the sinfulness of homosexuality and other forms of unrepentant immorality. I affirm with you that those things should, in fact, be tests of fellowship. Yes, that’s correct. It’s a non-essential. Non-essential does not mean not important, but rather “not essential to salvation or to have fellowship”. Glad to hear we’re united on the tests of fellowship. I’d chart headcovering on “Important but not essential” and I’d put complementarian roles one above under “essential for denominational orthodoxy”. Thanks for that chart. Needless-to-say, I’d chart a piece of fabric on a women’s head as “Not Important”. I love the chart. I think it explains so many things, and not just about head covering. I agree, head covering is important but not essential. No one will go to hell because they did not cover their heads in prayer (or uncover). But oh the blessings that person has missed out on , the effectiveness of their prayers that could have been increased had they prayed in obedience to God’s form, the testimony they could have had to those outside the faith, the reminder of submission to human authorities and so forth. As one previous pastor loved to say about these “not essential to salvation” type issues: ‘You don’t have to, but you GET to”. To be clear, Jeremy, you believe that women who do not wear a fabric covering demonstrate by their actions that they clearly don’t truly love Jesus since they do not follow all of His commandments. Is that right? Not at all. That presumes the motive for not obeying. If a woman is fully convinced that she needs to wear a headcovering and there are no barriers to obedience (like husband saying “no”) then that could be a strong indication that she’s loving something more than Jesus (like the approval of man for example). 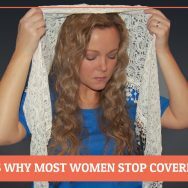 However, there’s many reasons why women don’t cover. Some women don’t even know the Bible says anything about it (especially new Christians and those who haven’t finished reading the Bible through yet) while others are convinced in their mind that a different interpretation is correct. I don’t think either of those two conclusions demonstrate a lack of love towards Christ. So I think the flipside of John 14:15 would be about willful disobedience. I promise you neither my wife nor I (nor the vast majority of the Christians that I know) “dismiss the teaching” found in 1 Corinthians 11 and at the same time we do not see the need for women to wear a fabric covering. Sorry that was so big, I copy and pasted. It is through heart felt prayer and surrender of our will to God that we can discover to the truth. When woman comes before God and is willing, if God were to show her, to start covering, then she is in a place of surrender. That is where we can know the truth (and not just about this issue, about any other). When it becomes a matter of “God if you show me that I should practice head covering, then I will obey you and cover, please show me Your will”, then God can speak. While our hearts are steeped in stubbornness of “I don’t want to have to do this, so I will not study this issue or pray about it”, then our hearts are blinded to God’s truth. I am not saying this about any particular poster, it sounds like the above poster has studied and come to the conclusion that covering is not required. But I believe most Christian women in the west today do hold to these ideas. I grew up in a ‘covering’ denomination, so I understand completely although I haven’t practiced it for 50+ years (since I was 18). The first thing that jumped out at me was your comment “no barriers to obedience (like husband saying “no”). Did I understand you correctly? If hubby says “no”, that means she should obey hubby? Or if hubby says “no” she should cover anyway, otherwise she is wanting the approval of man/hubby? I’m couldn’t follow what you were saying. Thx. After sharing what I had written previously with my husband, our belief does align more closely with Mr. Gardiner. I want to clarify what I had previously posted. I did not thoughtfully read what was there, and made a hard and fast statement when I had said that ‘headcovering can definitely be legalistic’. Our belief is that headcovering is not legalistic, and that it is actually a 3rd ordinance along with baptism and the Lord’s Supper. This is our belief as a couple. Just as our relationship to Christ is one of submission to His leadership, I believe that my covering shows not only submission to my husband but also submission to Christ. I have been covering during private prayer and corporate worship for a few years now . It is a symbol of humility and acknowledges God’s governmental order ( yet we are all equal in His eyes ) The culture we live in makes this headship recognition radical today . Covering brings a closeness to the Father and there are certainly blessings in prayer effectiveness from it . However I am convinced this awareness was given to me by the Holy Spirit and it should never be a requirement in a church . It must come from the heart knowing it pleases our Lord . That is the heart of it ….it pleases Him and that is why I do it . I would think the legalism would come into play when people start dictating what type of covering, when a woman must cover, how much of the head must be covered etc. Head covering is a command but the implementation of it is left to liberty I believe.